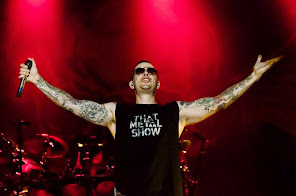 Avenged Sevenfold News: M.Shadows: "We are close though so don't worry. It's coming soon." M.Shadows: "We are close though so don't worry. It's coming soon." Hey Matt, so everything you always saying about the release date and such are always about apple holding up everything. So would you please be able to explain more about the Android side? Couple of questions. Is the game going to be released on both Apple and Android at the same time? Is Google Play all ready for the game to be released and you are just waiting for Apple or how does that work? M.Shadows: There really is no process for Google. They don't have any quality control. So yes we have been waiting on Apple. It may be frustrating but Apple wants to make sure that if you buy a game that it upholds a certain standard. Google Play just lets anyone put anything up at anytime. We are close though so don't worry. It's coming soon.